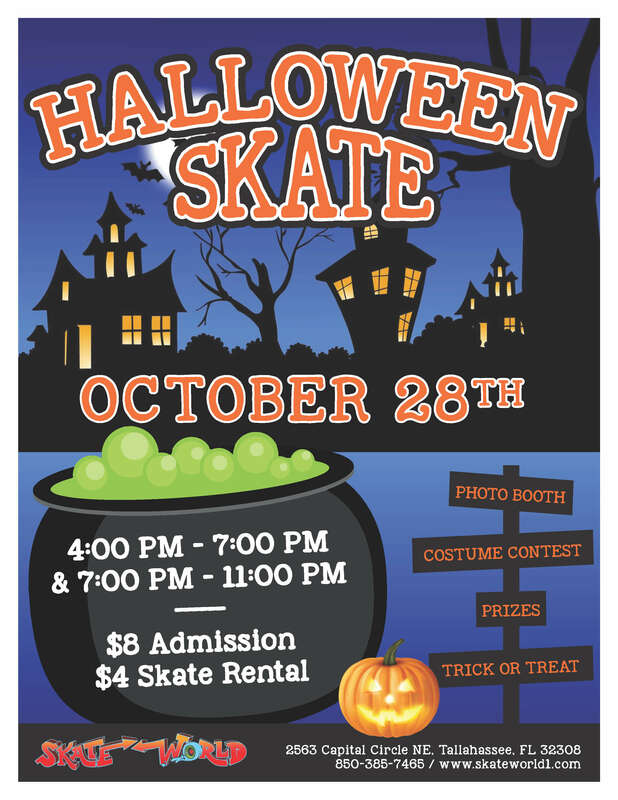 Halloween is almost here, and things getting spooky at Skate World. We’re tossing skating tricks, holiday treats, and spooky prizes into our witch’s brew and setting it to boil. What frightful family fun will bubble out of our cauldron this year? Read on, if you dare. Want to take home the costume contest prize? With a little creativity, you’re sure to stand out from the crowd! Here are a few fun DIY costume ideas to get you started. Bubble bath: All you need are snug, light-colored clothes, safety pins, and a whole lot of balloons. Blow up the balloons, attach them to your outfit by the part you tied off, and get ready to scrub a dub dub! To really take this costume to the next level, grab a rubber ducky, shower cap, and a loofah. Bat, dragon, or Pokémon Zubat: Manipulate wire hangers into the shape of bat wings. Cover the form with inexpensive fabric. Dress your kid in matching colors (or a homemade dragon costume if you’re really ambitious!) and voila! Instant Halloween classic. Jetpack adventurer: Need a Halloween costume, like, now? Here’s what you do: empty 2 big bottles of soda (the bigger, the better). Tape them together and spray paint them silver (if you don’t have silver spray paint on hand, cover them in duct tape). Tape red, yellow, and orange ribbons, craft paper, or tissue paper from the opening and attach upside down like a backpack. Your child is officially ready for the ultimate adventure! Mark your calendars! 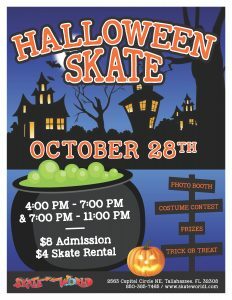 The Skate World Halloween party is just a few weeks away. To learn more about holiday fun for Tallahassee families, call Skate World Center.